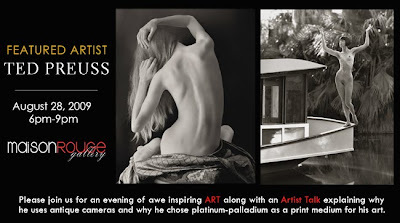 I recently was asked to exhibit my platinum-palladium prints and to give an artist talk explaining my printing techniques and why I use antique cameras to create my art. I will be exhibiting many of my Simple Beauty and Oasis of Mara series. So please join us for an evening of awe inspiring ART.